Back by popular demand, Boaties will be throwing the biggest Grand Final screening which saw 800 footy fans scattered across the waterfront beer garden last year. 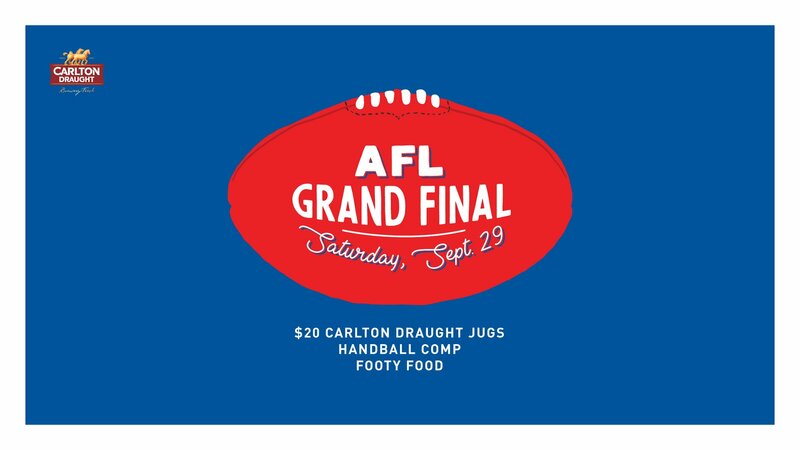 Our Grand Final Party kicks off at 12pm with handball competitions, $20 jugs of Carlton Draught and an additional menu of crowd pleasing favourites including meat pies, hot dogs, loaded tater tots and poutine. Keep the festivities going after the final siren with a DJ spinning the decks into the night. Come early to reserve the best seats in the house or make a booking for your crew of 6 or more at 2.30pm for kick-off. Boaties will be screening the Grand Final on the outdoor mega screen as well as 5 other screens around our massive waterfront beer garden.